Wynne Greenwood presents Kelly. An exhibition and six months residency that prove how art can be a mean of awareness of the different roles that we obliged to perform within the contemporary society. Working across video and performance, Wynne Greenwood explores constructions of the self, tracing how subjectivities are formed in public and private spaces and always in relation to others—be they imagined or real-life personae. Greenwood is widely known for her work as Tracy + the Plastics, in which she plays all three members of an all-girl band. 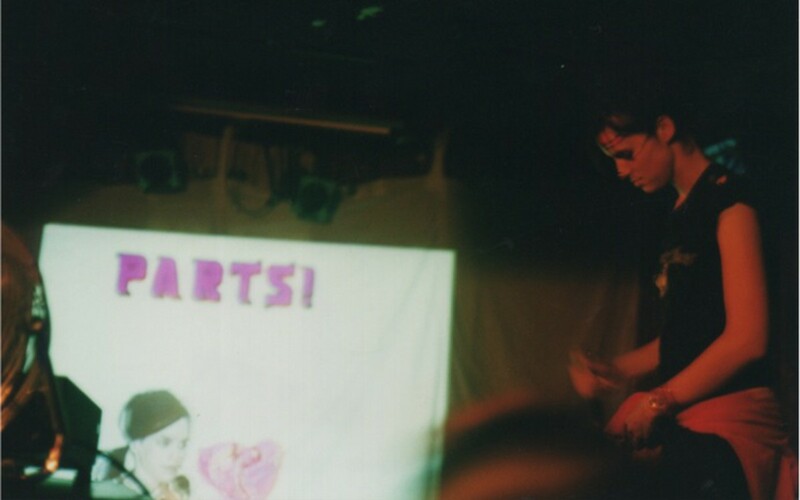 As Tracy + the Plastics, Greenwood performed live as lead singer Tracy, accompanied by videos of herself portraying keyboardist Nikki and drummer Cola, and toured across the country from 1999 until the project’s end in 2006. Naming a new, yet-to-be-imagined character orbiting beyond the Plastics’ cosmology, Kelly is an exhibition and a six-month residency at the New Museum in which Greenwood premieres the now complete, re-performed, and mastered archive of Tracy + the Plastics’ performances. The exhibition extends and contextualizes a work with deep sociological contents. Over the last two years, Greenwood has indeed worked to produce videos of the band’s historical, but, until now, largely undocumented, performances. Her approach generates an unusual archival object—original footage of Nikki and Cola accompanied by newly taped performances, made a decade or more later, of the “live” vocalist, Tracy. Bringing this archive into dialogue with more recent work exploring the artist’s interest in what she calls “culture healing,” this exhibition presents new work from Greenwood’s ongoing More Heads series—a body of sculptures and videos that represents characters in symbolic and deconstructed forms. Together, these works consider the poetics of the pause while mining electric gaps of meaning in conversation and offering possibilities for feminist, queer, and experimental models of collaboration and dialogue. 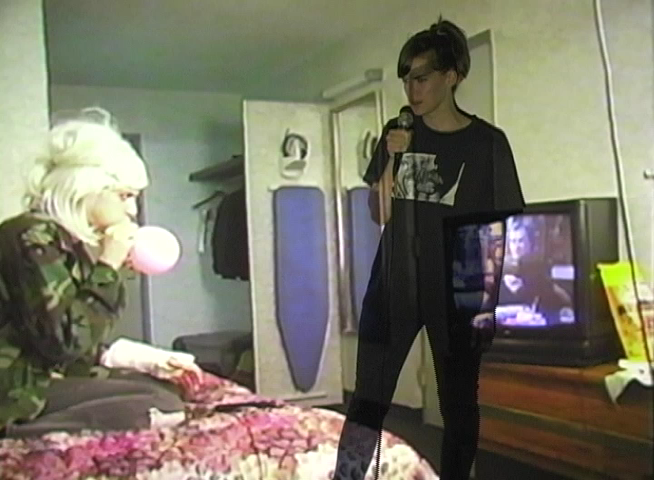 Greenwood’s residency will feature readings, panels, and performances, including a music series entitled “Temporary Arrangements” in which artists are invited to create and perform as one-night-only bands, as well as a series of panels that explores queer archives, legacies of feminist video production, and the potentiality of performing and disrupting different kinds of scripts. Please check the New Museum’s website for a full schedule of programs.